On Saturday, I was able to take part in one of these moments, both literally and figuratively. That was the day that I decided that running into Lake Springfield, a balmy 34 degree Lake Springfield at that, would be a good idea. 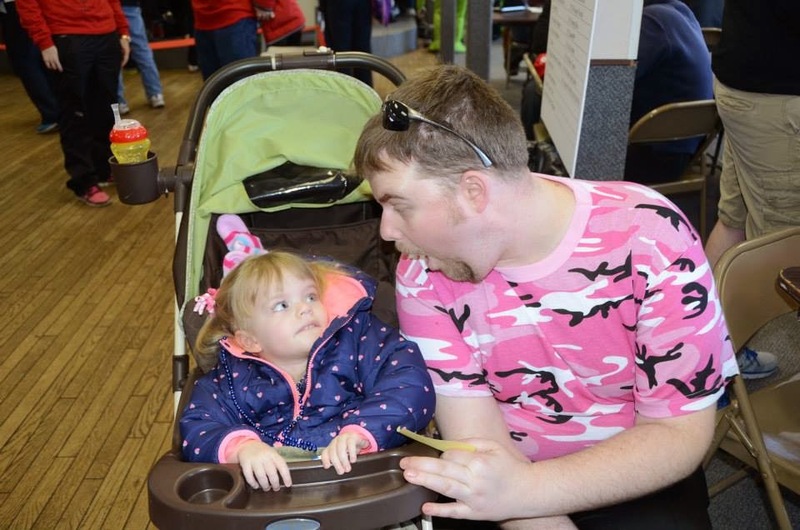 Grace hangs out with her dad before this year's Polar Plunge. That’s not exactly true. 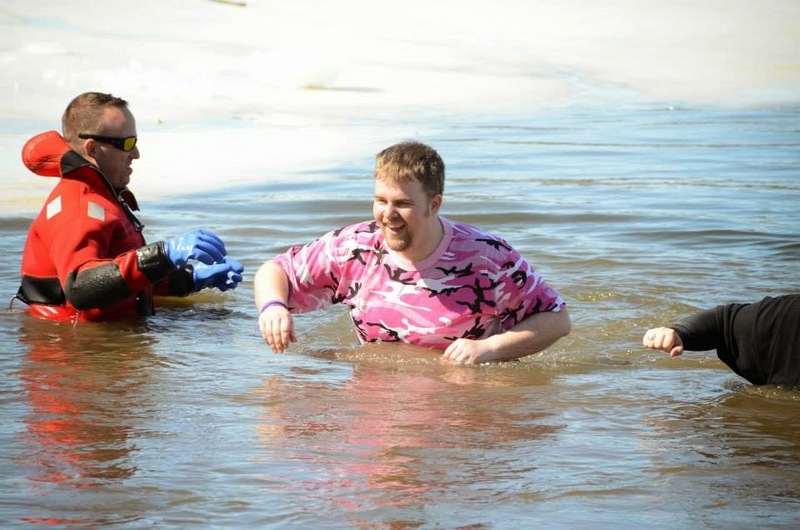 I had actually decided to take part in the 2015 Polar Plunge to benefit the Special Olympics almost a year before, after talking to Jen and Adrian Baker at the Litchfield Chamber of Commerce banquet. My beautiful wife Mary has done several news items about Jen and Adrian’s voyages into the chilly waters of Lake Springfield and I’m always up for new challenges, so I quickly said that I’d take the plunge in 2015, despite Adrian telling me they cut out more than a foot of ice from the lake for the 2014 edition. I hadn’t really forgotten about my promise, but it wasn’t at the forefront of my mind when Jen brought it up to Mary earlier this year. We’ve had a lot going on lately and have asked a lot of the community in regard to fundraising, but still, I felt the pull to keep my promise and take the plunge. Oddly enough, the older I get, the fewer hesitations I have to step outside my comfort zone and try things that could be epic, whether in regard to failure or success. Want to go to Colorado to see a concert? Sure. 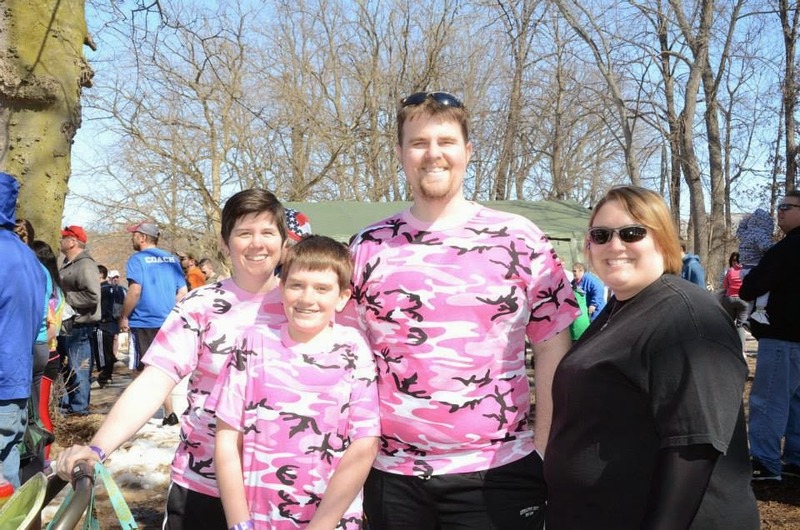 Want to do the Big Dawg Dare 5K obstacle run? Why not? Want to go traipsing into the cold and murky waters of Lake Springfield? Sign me up. Heading into the chilly water! So with a donation from our family and a spectacular sense of under-preparation, Mary, our daughter Grace and I set off for Litchfield, where we were meeting the Bakers. This year it would be just Jen and Gavin, after a back injury kept Adrian on the bench, so to speak. From the moment we pulled in the Bakers’ driveway, I realized just how unprepared I was. “Did you bring shorts to plunge in?” Jen asked. Of course not. I had asked zero questions going in, so I had no idea what attire would be sensible, except that wetsuits were not allowed (probably a good thing because I imagine I would look like a stranded sea lion in a wet suit). I also realized that I didn’t bring a towel, which one would think would be pretty high on the priority list. Fortunately, Jen brought extra and I didn’t have to air dry after the plunge. We got to the KC Hall by the lake where registration was going on a little after 11 a.m. and were greeted by an assortment of Ninja Turtles, neon-haired women holding toilet plungers and other plungers who opted to go the costumed route. 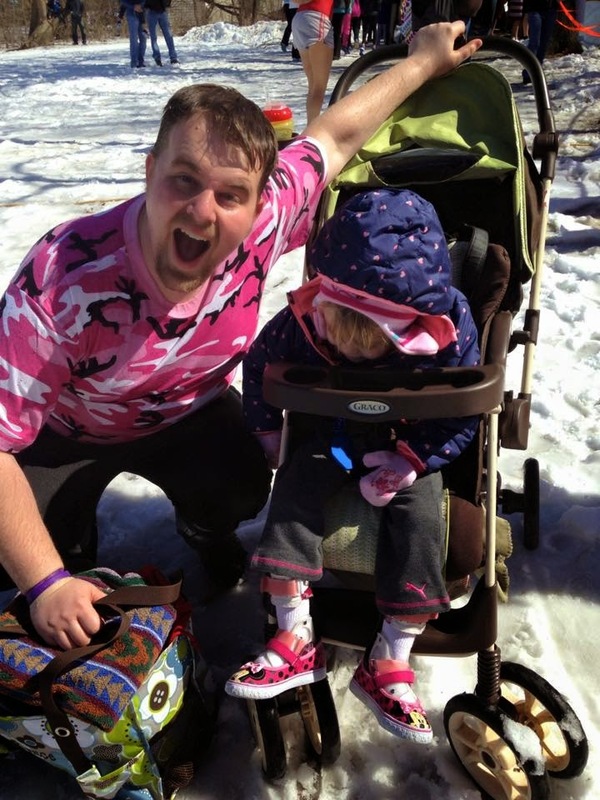 There were also a handful of people who were wearing decidedly fewer clothes than the workout pants and Ainsley’s Army pink cammo shirt I was sporting. They looked really cold, even before the plunge. After getting registered and hanging around for a while, our group, including Jen’s friend Stephanie Schofield, made its way down to the water’s edge. It was a little interesting trying to get Grace down in her stroller, but Mary is pretty much Wonder Woman and managed to get a good spot along the fence where she could both hold Grace and take photos. I’m not sure I could have done one of those things successfully, let alone all three, but that’s why she’s Wonder Woman and I’m not. With the time of reckoning upon us, I turned to Gavin and asked if this was a bad idea. Okay, maybe not as bad as I thought. Gavin’s a pro at this. If he thinks this is a bad idea, what chance do I have? None. But then you remember two things, 1) You’re already in line to plunge and just minutes away from doing so; and 2) There is a reason for this. 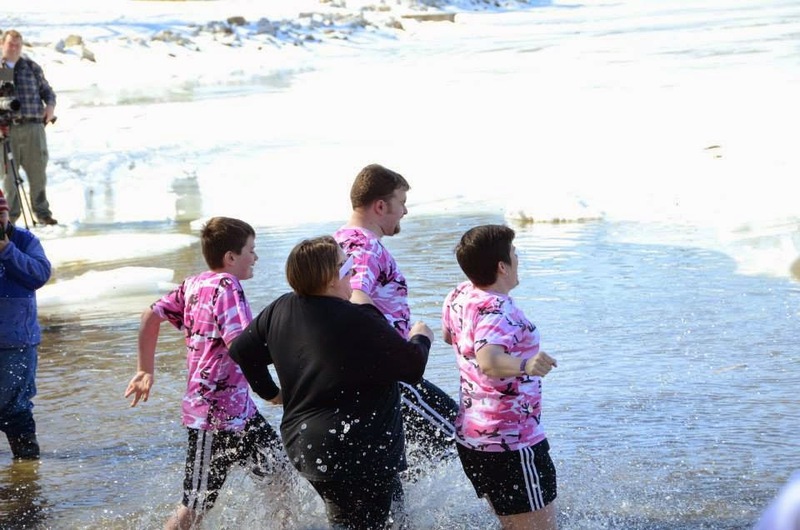 Sure it’s fun to watch people in funny costumes run screaming into the frozen Central Illinois waters, but each and every one of those people, all 253 of them, made some kind of donation that will help the Special Olympics. They are making a difference in the lives of some very special children who have overcome a lot bigger obstacles in their lives than a little cold water. So in I went. In all honesty, it wasn’t as bad as I thought it would be. I made it out to the end of the plunge zone to give the Springfield EMT a high five, kind of a badge of honor for the plungers, and even went completely under water on the way back, on purpose. I figured at 6’3”, I wasn’t getting the full effect. That resulted in one of the two times that the plunge actually hurt as for some reason it felt like my eyebrow had frozen to my skull. Mary has a nice picture of me trying to bring the little fella back to life. The other time was in the changing tent, where the floor was half ice and half mud. Pretty sure one of my toes fell off, but I’ll just look for it next year. That’s right, next year. 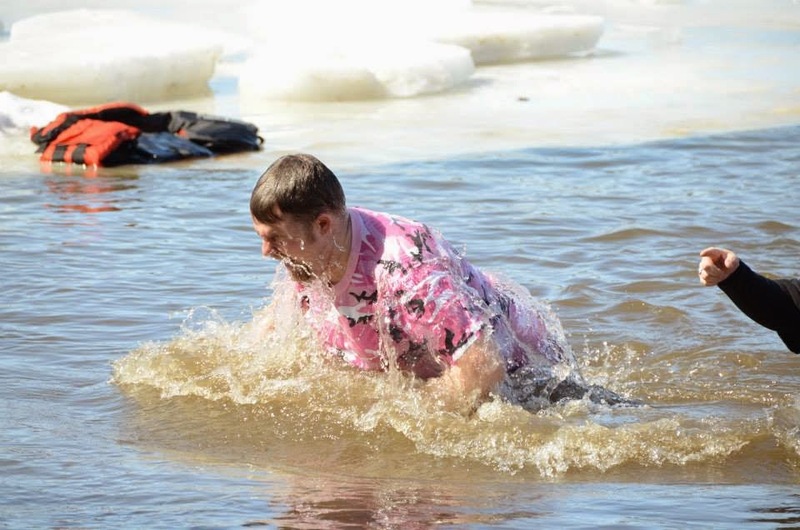 Like the Big Dawg Dare and some of the other stunts I’ve done, this won’t be the last time I do the Polar Plunge. 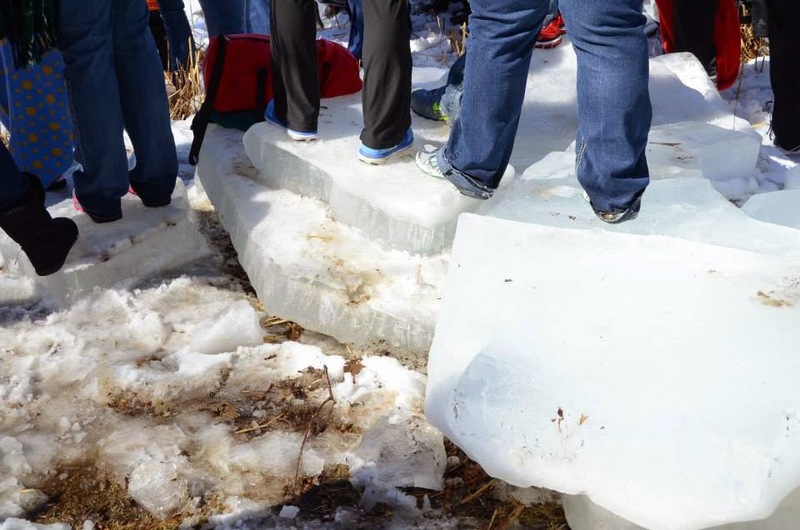 This is the ice they cut out of the lake before this year's Plunge. Whenever I originally said I’d do it, I had two reasons – I wanted to help the Bakers, who are amazing advocates for their daughter, and at the time I thought there was a chance Grace could participate in the Special Olympics some day. Kyle is all smiles after taking the Plunge! While that may not be the case after we received Grace’s INAD diagnosis, I’m still happy that I could help such a good cause. And take this as a warning, my goal for next year is to convince at least one more person to do the Polar Plunge with me. You have 12 months to think about it. Don’t forget to bring a towel. What a wonderful thing to do for the cause, I admire you and Mary very much. You both have such big hearts. I think of Gracie daily and my purple bracelet sparks many conversations.